DESCRIPTION : Wine label created for family wine. 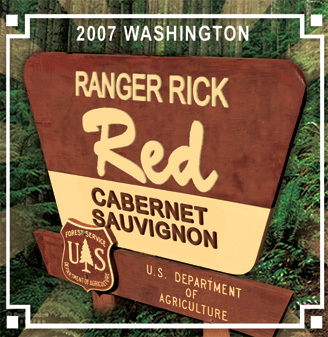 The name references my father, Rick, who served as a Forest Ranger for several summers. MEDIA : Photoshop photo collage.